As part of their Boxing Day Preview, Hudson's Bay is offering a beauty treat promo! 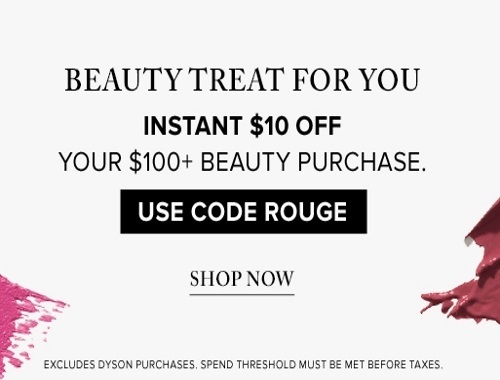 Save $10 off your $100 or more beauty purchase! Enter the promo code ROUGE at checkout.